The classical power supervisory controllers in microgrids generally have a centralized structure to determine the power reference signals of their units. However, by increasing the number and variety of energy storage or other generation units in these systems, the algorithmic complexity of centralized power management controllers increases and their reliability decreases by the addition of new units or outgoing the existing ones. Furthermore, their implementation in outer layers of a hierarchical control system, generally requires the switching between local controllers in the inner layers, with the requirement of bumpless switching to prevent the creation of transient states. 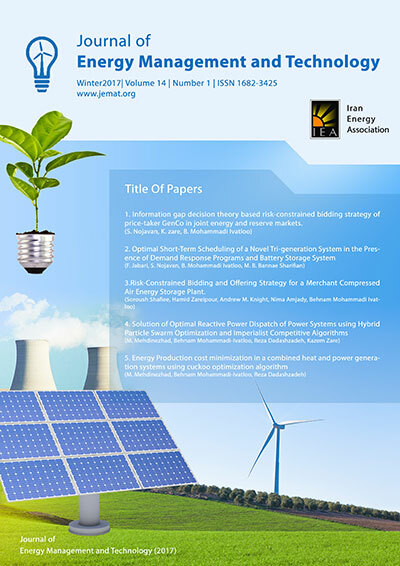 To solve these problems, this paper presents a distributed power management system to control the amount of power produced by a microgrid consisting of PV arrays and battery storage system to provide the constant power requirement of the grid. Of the merits of the proposed method, are its simplicity, plug-and-play feature, modularity, more reliability, and no requirement to any switching operations in the local controllers of the PV-battery system. Moreover, in the proposed method, the operating point on the PV array power-voltage (P-V) curve can easily be shifted to the left or right-hand side of the maximum power point (MPP), creating more controllability and flexibility for the constant power generation of the entire system. The satisfactory operation of the proposed distributed control algorithm is verified through the numerical simulations of a 100 kW PV-battery system in a wide range of operating points and for critical operation modes such as fully-charged and fully-discharged batteries.